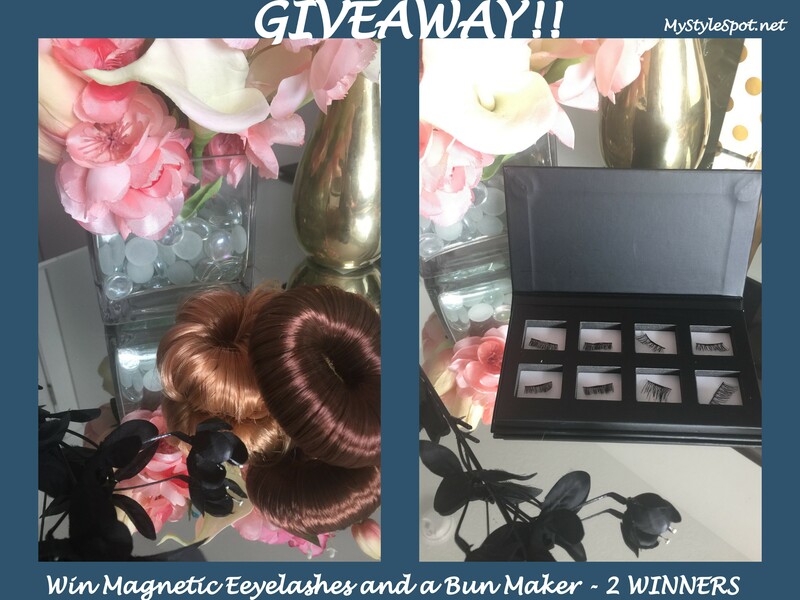 GIVEAWAY: Win a Set of Magnetic Lashes + A Bun Maker for a Super Easy Updo – 2 WINNERS! Hey, Lovelies! I have an exciting giveaway for you today! The lovely people of JJMG have let me try out a couple of their amazing products, and are giving two of you the chance to win them both and try them out yourself! Both these magnetic eyelashes and bun maker donut make getting ready a breeze in the morning! Both will save you time, energy, and money too! Also, be sure to follow JJMG on social media to stay up to date on their fabulous beauty products, deals, giveaways, and more! I have been wanting to try magnetic lashes for a while now. I like then both honestly! I am most excited to try and win the Magnetic Eyelashes. I want to try these lashes so bad! I am most excited to try the magnetic eyelashes because I have been meaning to buy some to try for quite some time now but money has been a bit too tight due to a family emergency, to enable me to do so yet. I LOVE the false eyelash look but have tried countless times so many ways to try to get the old fashioned glue on type on and apparently I just can’t-do it right even if my life depended on it. haha. I thought it was a lost cause but have new hope now that the magnetic kind has come out! My natural lashes are fine and too light in color to show up very well at all, so I end up using at least 3 coats of 3 different kinds of mascaras to even come close to the look I want. I’ll be thrilled if I win even just the magnetic lashes alone! I’m excited about the bun maker. I’m excited to try the magnetic lashes. I really want to try the magnetic lashes! I have hand tremors and can’t get the glue on ones on quite right, but I’m hoping that with some practice and patience I could get the magnetic ones on. I heard about them before they even came out from a beauty blog and had been waiting for their release. But when they came out, I looked them up and they $69 (ouch!) I hadn’t realized that they would be quite so costly. I still want to buy them but have bills to take care of first. I’d love to try the lashes. If they work well, I’d love to wear them during my upcoming wedding. Thanks!